New DT02 MS to build. I bought this model from TC member Bimdapogs for the rather large sum of US$230 (not including postage), just a little more than it's worth. The transaction itself was trouble free and it arrived from the other side of the world within a week. It will be built and raced with a 4600Kv brushless fitted. The 9.28:1 FDR is only just passable for 4600Kv brushless as it's only 2WD. 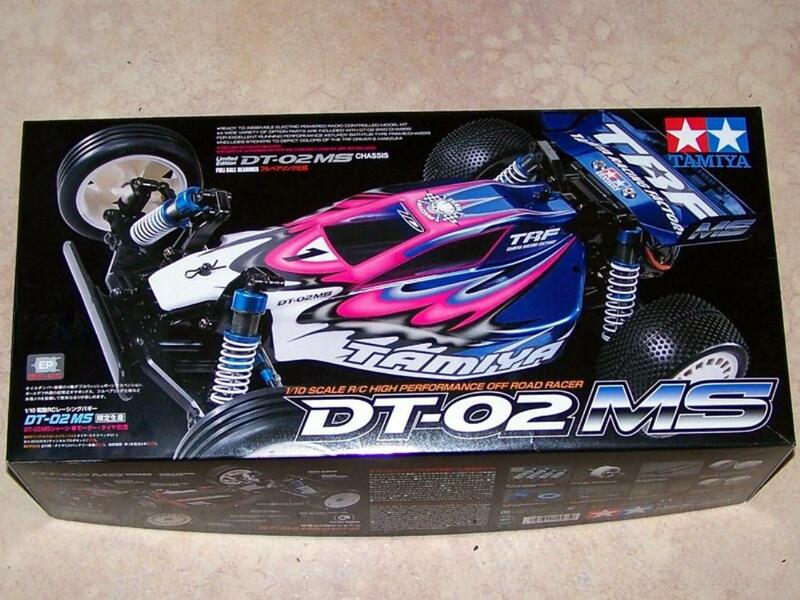 One day I hope Tamiya will build a competitive 2WD buggy chassis. Dynamicly this chassis is very well designed. The suspension geometry works well and there is no bumpsteer. The gearbox is very robust using all 0.8mm gears, just a shame about the lack of gearing options and slipper clutch. It will get my usually race scheme of TA-Yellow (those pink decals are just so gross!) 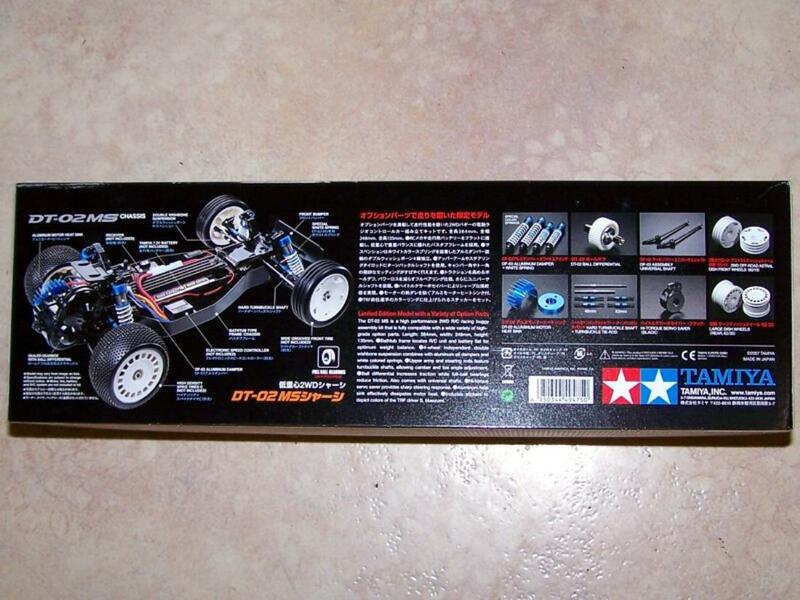 and Super Astute wheels with Tamiya square spike tyres. This chassis in many ways is the evolution of the Bear Hawk chassis (which should have been dubbed DT01). Mark you are sounding a little deflated about your new acquisition; are you still going to fabricate a slipper clutch thingy for it? Chin up, at least Satoshi Maezumi hasn't painted your bedroom? The decals are definitely the worst bit in the kit. After close inspection of the gearbox design it would be easier to mount a DF03 gearbox on the rear, but then we are back to that alloy mainshaft gear problem. I'm quite deflated about both MS models to tell you the truth. Think I'd have to put a bed in the RC workshop if Maezumi styled my bedroom.